Lisa is a senior paralegal whose experience includes patent infringement, commercial, product liability, toxic tort, environmental and personal injury litigation work on behalf of clients in industries such as biotechnology and life sciences, industrial manufacturing and chemical manufacturing. Lisa is experienced in all phases of the litigation process at the state, federal and appellate court levels. She manages complex, multiparty, high-profile litigation cases from initial investigation through trial. Lisa provides extensive deposition, mediation and trial support. She identifies key fact issues to address in cross and redirect examination, prepares trial exhibits and demonstrative aids, and assists with preparing expert and fact witnesses and clients for depositions and trial testimony. Lisa also prepares and analyzes discovery requests and identifies responsive documents, conducts online investigative research and coordinates management of case data. 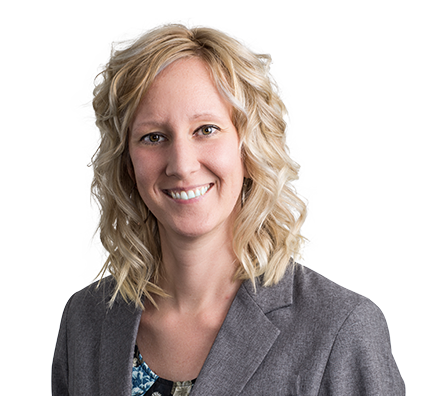 She has experience with database design, litigation support coordination and electronic trial presentations. Lisa has substantial trial experience in federal courts. A patent infringement lawsuit in the U.S. District Court, Eastern District of Missouri, that resulted in a jury verdict of $1 billion in the client’s favor. A patent infringement lawsuit in the U.S. District Court, Northern District of Mississippi, that resulted in a jury verdict of more than $15 million in the client’s favor. A patent infringement lawsuit in the U.S. District Court, Eastern District of Missouri, that resulted in a jury verdict of $2.9 million in the client’s favor. A lawsuit in the Southern District of Illinois in which the plaintiff claimed that chemical exposure caused her to suffer injury and increased her risk of developing cancer. The jury returned a defense verdict in the client’s favor. A toxic tort case that obtained a defense verdict in the City of St. Louis.